Description: The original upside down TERA, the JENI was a lure gone wrong when a bib was put in on the wrong side of the lure. For fun it was given a swim and was found to have it's own unique fish catching action. 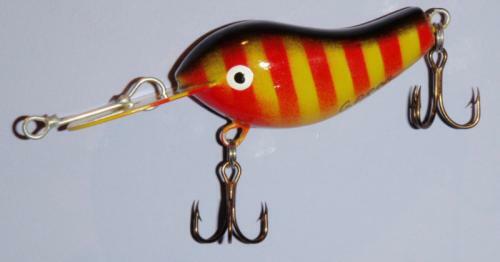 A great lure for fishing for many species or to add to a collection.